How goddamn dumb do Senators Cory Booker, D-NJ, Al Franken, D-MI, and Elizabeth Warren, D-MA, think we are? All three Democratic presidential hopefuls are “initial co-sponsors” of an Orwellian bill to “enhance” our government’s ability to “prevent genocide and mass atrocities” with military force: Senate Bill 1158, the Elie Wiesel Genocide and Atrocities Prevention Act of 2017. Remember the US war to prevent genocide and mass atrocities in Libya? Where the Obama Administration toppled the secular Libyan state, and destroyed its national oil company to make way for US oil corporations? 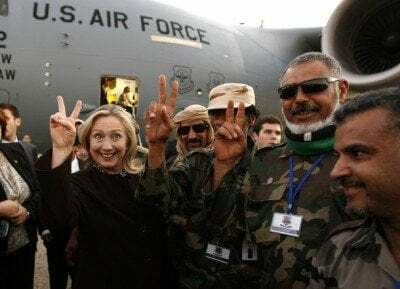 Where Hillary Clinton ordered the assassination of an African president, and left a failed state of warring militias, including ISIS, plus a modern-day slave trade and streams of desperate refugees risking their lives to get to Europe from Libyan shores. The US war to “prevent genocide and mass atrocities” in Syria is of course ongoing, even though President Trump shut down Obama’s billion-dollar operation to train Islamist militias who were fighting each other when they weren’t fighting President Bashar al-Assad. The casualties in Syria are well into the hundreds of thousands, the refugees and internally displaced persons equal to half the pre-war population of 22 million. Nevertheless, Syria’s secular state, its national oil company, and its national bank still stand, thanks to Russia’s decision to draw the line and lend military support. Let’s not forget Bush’s preemptive war. He gave us an absolutely ridiculous excuse: that he had to prevent Saddam Hussein from attacking the US with “weapons of mass destruction.” So the US invaded Iraq, destroying much of its infrastructure and archaeological heritage, killing a million or more Iraqis, and discharging so much toxic ordnance that the people of Basra and Fallujah now suffer high rates of cancer and unprecedented rates of birth defects. The US destroyed Iraq’s national oil company, opened its oil fields to Bush’s oil tycoon cronies, toppled a secular government, let the Shia majority seize power, and made way for the current battles raging between Sunni, Shia, and Kurdish militias. Most recently, the US destroyed the City of Mosul to save it from ISIL. Saddam Hussein was not a nice guy, but if anyone—including Cory Booker, Al Franken, and Elizabeth Warren—believes that’s why the US did all that to Iraq, I’d like to sell them 500 tons of yellowcake uranium ore from Niger, along with the Washington Post and the New York Times—all at a one-time bargain basement price. But they don’t believe that, and they don’t believe any outlandish claims that the US prevents genocide and mass atrocities or wants to. They don’t believe that WAR IS PEACE and FREEDOM IS SLAVERY, because whatever else we may think about Senators Booker, Franken, and Warren, they’re not that stupid. They’re just hoping that we are, or that we’re so mortified by Donald Trump that we’ll line up behind one of them or another militarist Democrat in 2020. Or they’re hoping that most of us are too damaged, distracted, disaffected, or disengaged to care. Maryland Senator Ben Cardin, the Democrats’ top dog on the Senate Foreign Relations Committee, introduced the Elie Wiesel Genocide and Atrocities Prevention Act. He is an avowed Zionist, frequently lauded by AIPAC, the Zionist Organization of America, and the Zionist press. He has supported US wars in Afghanistan, Iraq, Libya, and Syria, opposed the Iran nuclear deal, called for the removal of Syria’s Bashar al-Assad, and said that the US cannot accept North Korea’s status as a minor nuclear power. Cardin also joined Ohio Republican Ron Portman to introduce Senate Bill 7.20 – the Israel Anti-Boycott Act, which would make it a felony for Americans to support the international Boycott, Divestment, and Sanctions Movement that was created to protest Israel’s decades-long occupation of Palestine. If S.720 becomes law, avoiding the purchase of Israeli goods for political reasons will become a federal crime punishable by a minimum civil penalty of $250,000 and a maximum criminal penalty of up to $1 million and 20 years in prison. Neither Cory Booker, nor Al Franken, nor Elizabeth Warren have joined the 43 Senators, mostly Republicans, co-sponsoring S.720. Such an outright assault on our civil rights might go down less well with their liberal base than preventing genocide and mass atrocities. 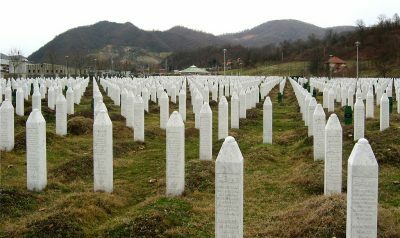 Doesn’t every liberal Democrat, and indeed every American of good will, want to prevent genocide and mass atrocities? Only a psychopath wouldn’t. Twenty Democrats, including Booker, Franken, and Warren, but only five Republicans, have signed on as co-sponsors of the Elie Wiesel Genocide and Mass Atrocities Prevention Act. Indeed, much of this Orwellian movement is coordinated within the elite, richly resourced, corporate funded, ideological bastions of the Democratic Party. One of these is the “ENOUGH Project to counter genocide and crimes against humanity,” founded by career militarists John Prendergast and Gayle Smith. Enough is an NGO subsidiary of a larger NGO, the Center for American Progress (CAP). CAP is a think tank, aka propaganda vehicle, founded by Hillary Clinton’s campaign manager John Podesta. Podesta played key roles in both the Clinton and Obama Administrations prior to his Wikileaks notoriety. Another key pillar of genocide prevention propaganda is Harvard’s Carr Center for Human Rights Policys, founded by Samantha Power. After Power became its first Executive Director. she worked with “the US Army Peacekeeping and Stability Operations Institute” to produce Mass Atrocity Response Operations, a Military Planning Handbook. As President Obama’s Ambassador, she went on to crusade for US/NATO wars in Libya and Syria, then to rant, rave, and fulminate about Russia. One of ENOUGH’s greatest propagandistic achievements is STAND, “the student-led movement to end mass atrocities,” which declares that it’s on a mission “to empower individuals and communities with the tools to prevent and end genocide.” STAND has chapters on high school, college ,and university campuses all over the US with regional coordinators in the West, Midwest, Southeast, Eastern, Midwest, Mid-Atlantic, and Northeast. John Kerry, Ben Affleck, George Clooney, and John Prendergast have all appeared to speak at its campus events. STAND shows a list of films and promotes a list of books about Armenia, Bosnia, Cambodia, Darfur, the Holocaust, and Rwanda, all of which support the justifying narratives that prevail in the US foreign policy establishment. STAND’s R2P—[Responsibility to Protect]—Student Journal is now accepting submissions from both undergraduate and postgraduate students. I’m sure that a few veterans of Students for a Democratic Society (SDS), the Student Nonviolent Coordinating Committee (SNCC), and the movement to end the Vietnam War are reading this and shaking their heads, as are a few of the millions who surged into streets all over the world desperate to stop the Iraq War in 2003. Who imagined that one year later, a national, networked student lobby for war would be growing out of the Save Darfur movement with so much institutional support in Washington D.C.? STAND’s “conflict areas” of concern match those of the Aegis Trust: Sudan, South Sudan, the Democratic Republic of the Congo, the Central African Republic, Burma, and Syria. Palestine has never been on their lists. STAND’s “policy statements” read like those of the Aegis Trust, the Enough Project, and the Carr Center for Human Rights Policy, and STAND chapters lobby their House Reps and Senators accordingly. How deep into the deep state is that? Whatever the answer, passage of the Elie Wiesel Genocide and Atrocities Prevention Act is now among STAND’s top priorities, so they’re no doubt on the phone requesting meetings and urging Senators Booker, Franken, Warren and others to move their bill out of committee to the Senate Floor. Will anyone call to tell these Senators that WAR IS NOT PEACE, THE US DOES NOT PREVENT GENOCIDE, and there’s no way they could honestly believe the bs in this bill?